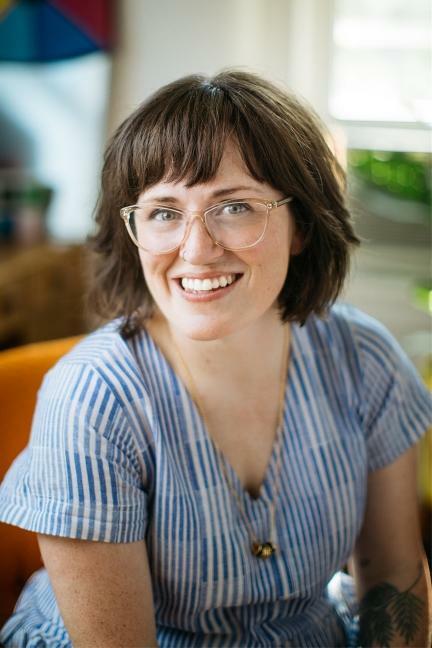 Emily Kastner is a cofounder of Read and Write Kalamazoo (RAWK), which promotes literacy for kids. Now, using the name Emmy Kastner, she’s a full-time children’s book author and illustrator. 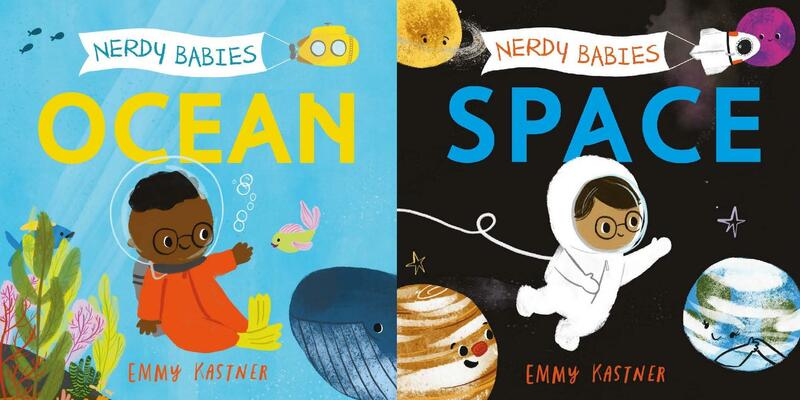 Her new series, called Nerdy Babies, introduces kids to the exciting world of science. The first two books, Space and Ocean, hit the presses in May. Five publishing houses bid on the series. MacMillan won, and that’s a story in itself. Kastner would draw comic strips for her science students to help them understand scientific concepts. When colleagues saw her work, they encouraged her to make a book for kids about science. And then, as Kastner began her own family, she watched the response of her children to books. And she did. In books meant for kids from birth to about three years of age, Kastner offers uncomplicated drawings with simple science facts. In Space, kids learn about the moon, the sun, and the planets. They also learn about gravity and orbits. In Ocean, they read about the animals, plants, and fish that live in the sea. When Kastner had a chance meeting with a literary agent at a children’s event in central Michigan called Nerd Camp, an impromptu hallway pitch turned into a 90-minute conversation. It ended with a promise to send her book idea to the agent. And that turned into a bidding war involving five publishing houses. The rest, as they say, is history. Kastner has signed a contract to continue writing and illustrating the series to cover many science topics. Kastner will launch her book series at This is a Bookstore/Bookbug in Kalamazoo on Saturday, May 11, at 11 a.m. Registration is required.